Keith Ryan was born in the United States but has lived in Canada for the past two decades. From an office with a view, he has written for film and television, as well as writing and publishing books. Together with his wife and dogs, they live and work on 37.5 acres overlooking a beautiful lake in a quiet, scenic town in rural British Columbia. Though he has won no awards, his wife swears he's a prize. He too thinks she's pretty swell and doesn't care who knows it. 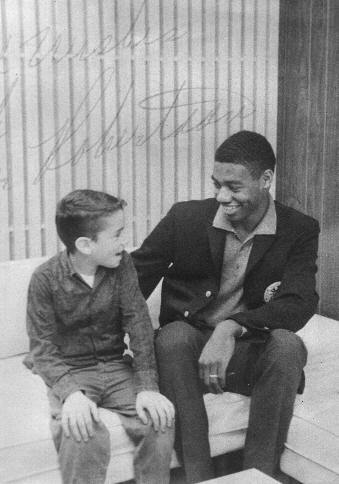 Keith Ryan and basketball great Oscar Robertson, schmoozing.